Since buying my very first Nikon camera in 2005, I have tried some replacement batteries from the third market. To be honest, I should have always saved the money for the alternative products and instead I should have used original Nikon batteries. After a long time I tried again and was positively surprised. 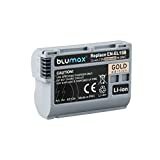 In December 2017 I ordered two replacement batteries for the Nikon lithium ion battery EN-EL15a of my D500 from Amazon. It was an alternative product to the original Nikon batteries. I had had very bad experiences with third market batteries before and wanted to try it one last time. 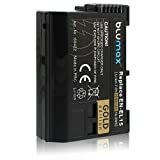 As of today, I have been using Blumax alternative batteries for a little more than 1 1/4 years and still can't find any bad characteristics on the batteries. In contrast to my previous experience with alternative batteries, there is no memory effect, no unpredictable switching off of the cameras, no excessive heating, and a consistently normal charging behavior. For the first time I can now recommend a third market battery for Nikon DSLRs to my readers, which only costs about a third of the original battery, but is in no way inferior to it.